Q: When did you first discover kombucha? I’ve been home brewing since the early 2000’s after trying some kombucha that my friend had made for me. Brewing from here naturally evolved from my existing passion for all things fermented, and of course my career as a nutritionist. 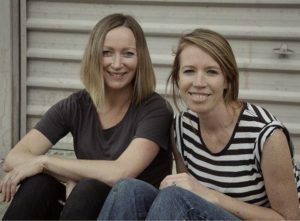 Q: Why did you start your own kombucha company? In 2015 I became friends with co-founder Liv McGregor. 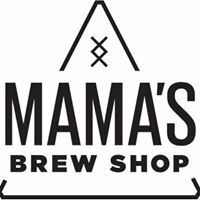 We were both avid home brewers and one night some months later we decided to launch our own company, Mama’s Brew Shop. Our first brewery was at home in my garage. We quickly outgrew the garage and took over a defunct butcher shop turning it into New Zealand’s first and only kombucha tap room, The Kombuchery. Mama’s Brew Shop’s brewery is housed within The Kombuchery. Q: What is your favorite flavor of kombucha? Daily Organics Winter. This was the first New Zealand brand that I fell in love with before launching Mama’s Brew Shop. It’s authentic, warming and delicious! Q: What is your former/current other life or career? I’m a nutritionist and medical herbalist. As well as a full-time Mum to Willa 4 and Loch 2. I was consulting as a natural fertility specialist for 15 years before launching Mama’s Brew Shop helping hundreds of couples conceive. Q: What is a saying that you live by? Always be kind. You never know someone else’s story.